The HEALTH one™ patient record allows easy access to all information about a patient in one location. Summary information such as chronic and acute problems, allergies and medications are instantly available. HEALTH one™ has a very comprehensive and user-friendly appointments system which makes it easy to manage the workflow in your practice. Appointment entries are colour coded, to indicate status. 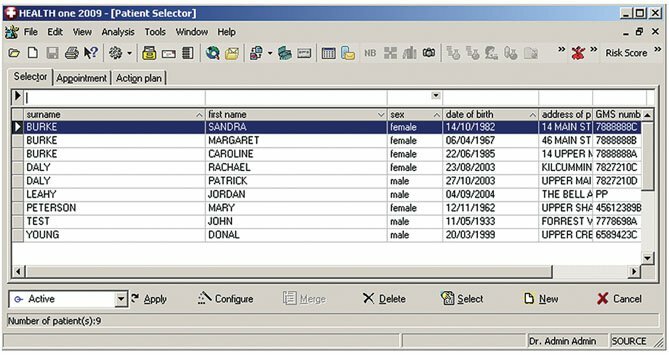 Standard functionality within the system easily allows for re-bookings, bookings at any date in the future, analysis of waiting times, etc. 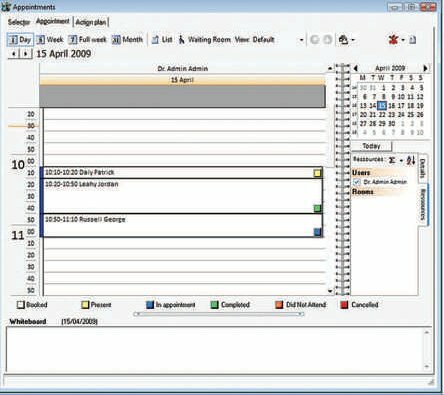 Appointments can be dragged and dropped between users, times and dates. Multiple different users can be displayed very easily on the fly. Time blocks for holidays and other tasks can easily be created. Daily-weekly-monthly views as well as a waiting room view, per user or for all users. 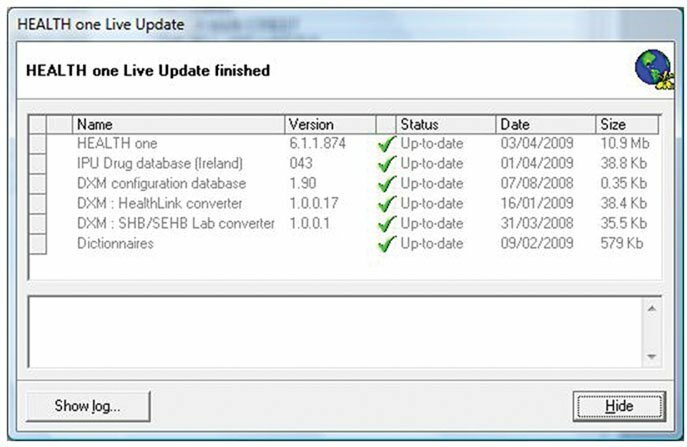 Users with internet access can receive automatic updates to HEALTH one™. This usually occurs in the middle of the night and without the need for any user intervention. 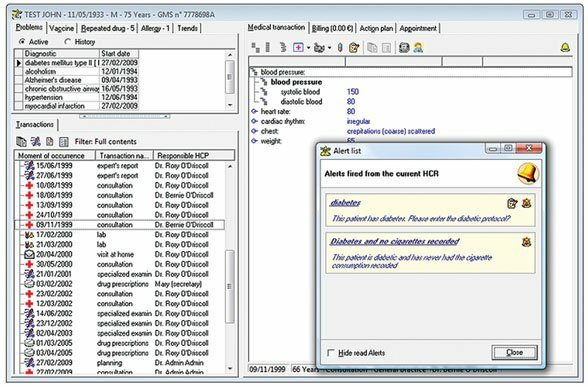 Text Messaging – This simple, yet highly effective feature allows sites to send text message reminders to patients. Remind about appointments and reduce non-attendance rates, notify patients of lab results and examination recalls. Text messaging is a proven and cost-effective way to communicate with your patients. This exciting functionality allows sites to synchronise data seamlessly and transparently in a highly secure manner between sites. Traditionally users with multiple sites had to transport laptops or portable drives between locations – this is no longer the case. With WebSync, data in all sites can be automatically synchronised in the background, in near real-time with almost no intervention. This saves time and provides peace of mind through secure backup and data availability. The right to be forgotten – We facilitate any right to be forgotten requests via a dedicated support function to qualify and process any such requests that have met a pre-determined set of GDPR compliant conditions. "I would be in contact with customer support regarding health one fortnightly. I am impressed with the knowledge, skills and friendliness of the support team. Whenever somebody asks me about different primary care IT software (having used all of them in the years of doing Locum work) I always respond with a resounding: go for HEALTH one." "I was the first person to use HEALTH.one in Ireland in 1990 and today, I am still using the programme. I am completely paper less and I am delighted with the evolution of HEALTH.one. My practice could not function without the programme. I highly recommend HEALTH.one to anyone who is starting out in practice or who has not yet moved to computer records. A delight to use, powerful features and a terrific and supportive User Group."